Big Dawg Productions in the (Beacon) House! We love to see a good show and downtown Wilmington offers a plethora of playhouses to choose from. 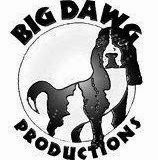 So we are very excited to have recently partnered with Big Dawg Productions to offer our guests a fun bit of theater. The Cape Fear Playhouse, with just fifty seats, is an intimate venue in a historic building originally built in 1910. Just twenty minutes from the Beacon House Inn, the theater is located in the Newcastle Arts and Antique District. The 2014 season line up kicks off February 6th with a “sneak peak preview” showcasing excerpts from this year’s upcoming plays. This is a great way to see a bit of each show and to purchase tickets for those that you would like to see in their entirety. The first full show of the season is “Romantic Comedy” and we are looking forward sharing it with our guests! As a part of our Valentine’s Weekend Special, when you book three consecutive nights with us we will throw in complimentary tickets (amongst other goodies). We invite you to take in some local culture at the Cape Fear Playhouse and to indulge yourself with a sumptuous weekend at the Beacon House Inn Bed & Breakfast this Valentine’s Day! You can feel good about spoiling yourself a little while supporting small businesses at the same time. This entry was posted in Beacon house inn, culture, play, theater, Valentine's Day by admin. Bookmark the permalink.